What a sweet way to spend a lazy day, spending it with Sarah & Calvin. I very much enjoyed their story of love found, love abandoned, & love found & made stronger & better. The people surrounding them are also so well drawn that I wish I could know them myself. By all means, read this delightful book. I love this new Sullivan spin-off series. Calvin and Sarah reunite after 10 years and there's hope for a second chance of forever. They both have a lot of pain from their break-up that needs to heal. Sarah is still mourning the loss of her father. He was a very strong and influential force in her life. Sarah needs to understand what "reaching for the brass ring" means to her. Calvin has raised his sister since she was born due to some extremely tragic circumstances. He has put up a good front letting everyone believe he is beyond the pain, hurt and angry of the past, until Sarah comes back. As Calvin and Sarah begin a new relationship it seems that everyone in Summer Lake has an opinion about it. The cast of characters in this small Adirondack town are a very special group of people. They speak their mind. They are loyal. They are proud. They compliment the story of Calvin and Sarah. The secondary storyline of Olive, Sarah's grandmother and her first love Carlos, an employee of Olive's father back in 1941 is unexpected and poignant. It adds a dimension and parallel to Sarah's present day romance with Calvin. 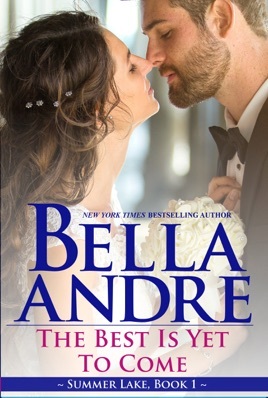 I recommend this book as a must read especially if you are a fan of second chance romances.